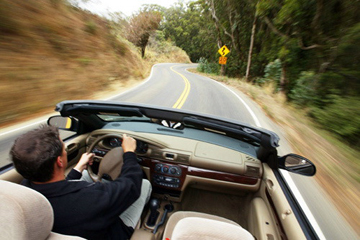 Automobile insurance is designed to help provide financial protection from auto-related damages, loss, or injuries. The policy is there to protect you, your passengers, other drivers and pedestrians. In addition, it can protect against financial loss in the event of an accident to your car, as well as the property of others. Coverage can be provided for financial reimbursement if your car is vandalized, damaged by fire, or stolen. Bodily injury liability- Liability coverage is for the damage you do to others. This coverage is expressed as three numbers, for example 100/300/100, which means $100,000 in bodily injury coverage per person, $300,000 in bodily injury coverage per accident and $100,000 in property-damage coverage per accident. Property damage liability – coverage which pays for repairs or to replace property that you destroy, for example someone else’s car, or if you run into their fence or wall. Collision - coverage which pays to repair your own vehicle in the event of an accident. Medical payments - this coverage pays for the medical expenses suffered by you and your passengers as the result of an accident. Comprehensive – coverage which pays for damage to your car that is not the result of an accident. This includes things such as fire, vandalism, theft, natural disasters, and collisions with animals (such as hitting a deer). Uninsured/Underinsured motorists coverage (UM/UIM) - Uninsured motorists (UM) coverage pays for costs resulting from an accident involving a hit-and-run driver or a driver who does not have insurance. Underinsured motorists (UIM) coverage comes into play when someone causes an accident but doesn't have enough insurance to cover all costs. In that case, the at-fault person's insurance pays up to its maximum and then your UIM coverage pays for the remaining bills, up to your policy limit. Rental reimbursement: This protection can pay for a rental car when your vehicle is damaged or stolen. Towing and labor coverage: This coverage can pay for the cost of towing or labor associated with road breakdowns. Gap coverage: This coverage is for newer vehicles and pays the difference between the actual cash value of the vehicle and the amount left on your car loan if your vehicle is totaled.